This four bedroom, three bath Spanish contemporary home is newly renovated and surrounded by lush greenery and mature oaks. Gorgeous wide plank French Oak hardwood floors, new counter tops, custom tile work and hand crafted steel architectural features create a clean sleek style. Two ensuite bedrooms have stunning updated bathrooms and all bedrooms provide privacy with nice separation. 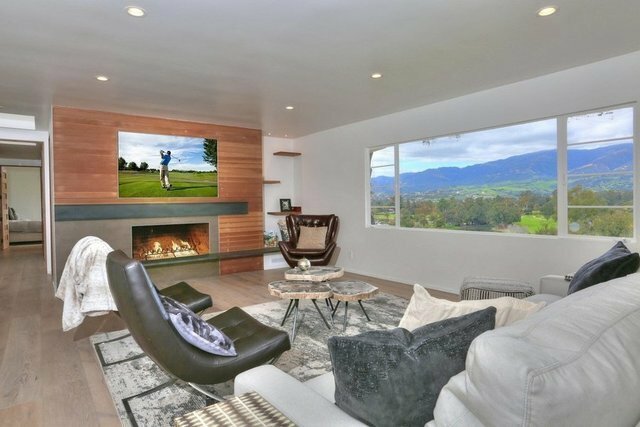 With available access to Hope Ranch's equestrian trails, golf course and private beach, this home delivers the ultimate California lifestyle.